Does repiping in Canandaigua, NY sound like a homeowner’s nightmare? When you work with the expert plumbers at G. T. Campbell, it doesn’t have to be. We will take the stress of the project on ourselves so you don’t have to carry it anymore. 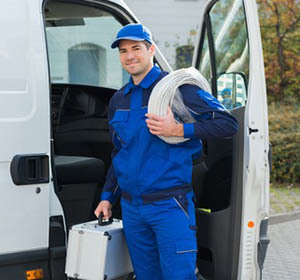 If you think you need repiping, we’ll assess your home and your pipes and let you know. We’ll also give a quote for the total cost of the project, so you know what you’re getting into before you agree to anything. Repiping in Canandaigua, NY is most common in older homes. Plumbing has come a long way in the last 100 years and so many older homes don’t have the plumbing capability to handle modern waste. Older pipes are made out of different materials than newer ones, and these materials don’t last as long without deteriorating. Older pipes are also not joined together in the same ways that newer ones are, and this can lead to leaks, clogs, and other problems. You may want to consider repiping in Canandaigua, NY if you have been spending a lot on plumbing repairs. While each individual repair may not be too expensive, these costs add up over time. At some point, it’s a better investment to repipe your home than to continue repairing it piecemeal. You may also need to repipe if your pipes are made of a material that could harm you or your family. When you call G. T. Campbell to do your repiping job, rest assured that you are working with experts who have done this before. We’ll help you get the best value for your money whenever you have to repipe.